Network Rail's New Measurement Train 43462 "John Armitt" & 43013, working the 1Q24 Derby RTC to Derby RTC passing Lichfield Trent Valley Box. Empty stock from Barton Clip 1 - A Voyager traveling along the line from Barton to Birmingham New Street. The train travelled along the Cross City Line, as being a Sunday, there is less local services on the line. 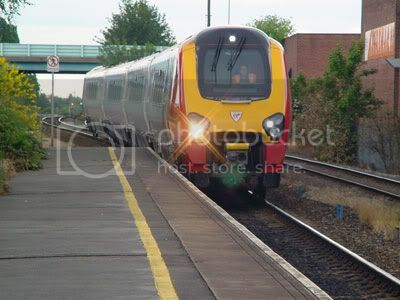 Clip 2 - Shows a Voyager traveling from Barton to Crewe. The Voyager used the sigle track spur line from Trent Valley upper level down to the lower level main line. 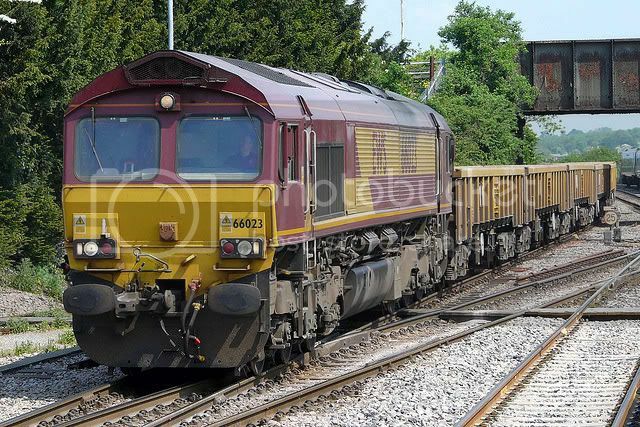 A class 66 pulls an engineering train up the single line spur, from the WCML up onto the South Staffs line, heading towards Alrewas.